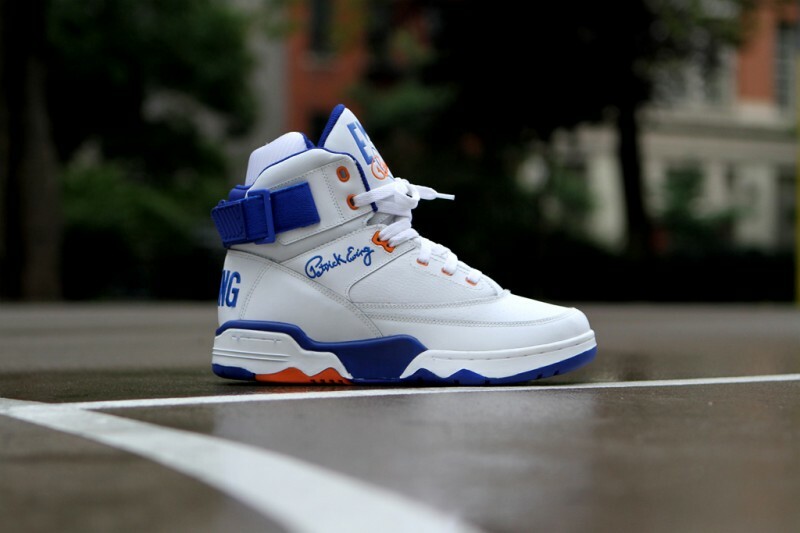 We're one day away from the long awaited return of Ewing Brand with the retro 33 Hi. 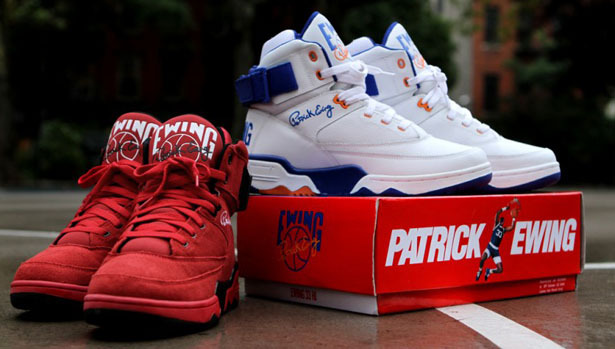 We're one day away from the official return of Ewing Brand with the retro release of the 33 Hi in its first two colorways. 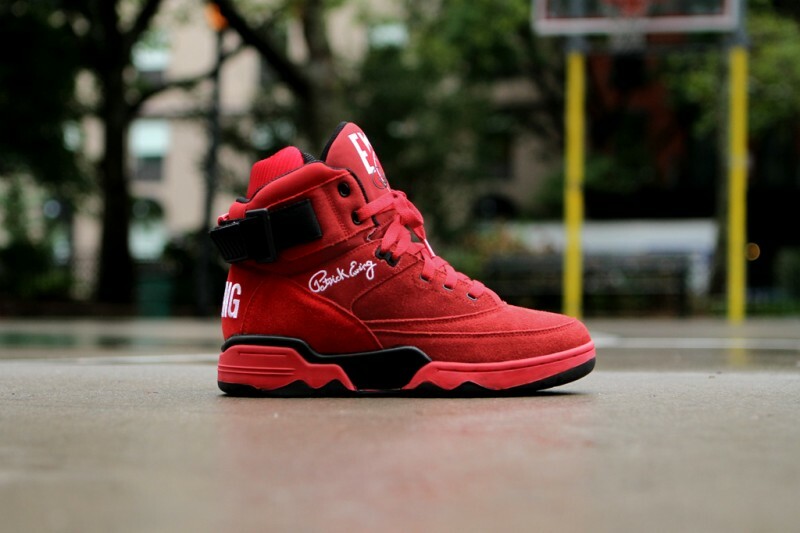 Although the 33 Hi will be in limited quantities at only a select number of sneaker boutiques in the New York area, it gets the ball rolling on the more widely released Ewing Athletics offerings later in the year. On 8/31/12 the 33 HI will release IN STORE ONLY at $100.00 MSRP in the NYC area in 6 stores: Packer Shoes in Teaneck, NJ, Kith in Manhattan, Atmos in Manhattan, West in Manhattan, Rime in Brooklyn and Extra Butter in Long Island. The colorways in this release will be White/Blue/Orange and Red/Black. A few weeks later in Mid-September these same two colors will hit select retailers NATIONWIDE Coast to Coast around the country and then our online webstore. The Black/White and Blue/White/Orange 33 HI will follow up a short time later around the Nation. We also have plans to be in Canada and Europe before the end of the year as well. 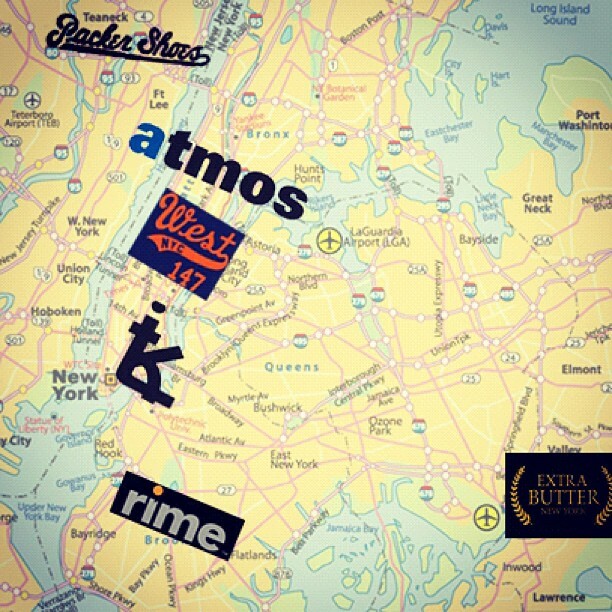 Stay tuned to our Twitter, Instagram and Facebook accounts for the latest information.